I present to you today the Breizh Whisky - Whisky Breton Blended. This is the primary blended whisky from French distillery Distillerie Warenghem, the producers of Armorik single malt whisky. 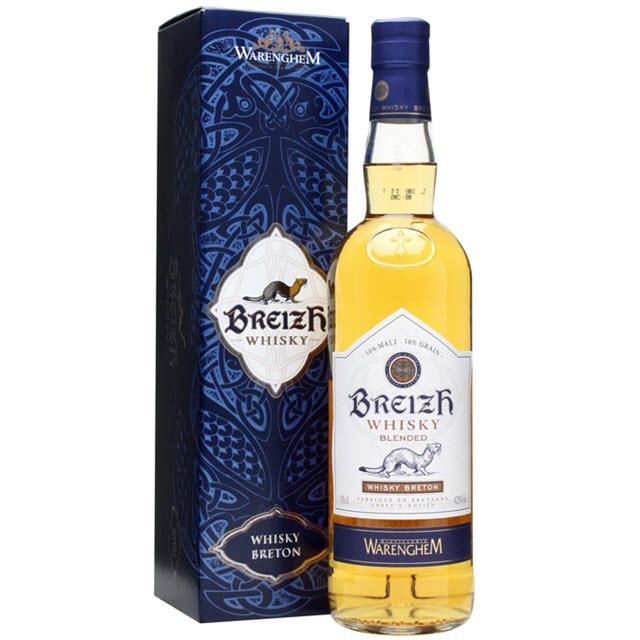 A very interesting fact about Breizh Whisky is that both the grain and the malt has been produced and matured at Warenghem. The same approach as the Japanese giants Yamazaki and Nikka, in other words. This, of course, gives the distillery complete control of their own product. The Breizh Whisky was released for sale in Norway on March 6 and sells for NOK 715 (item number 2160901). This product is currently not for sale in Sweden. Nose (20/25): Soft and mildly floral on the nose. I pick up vanilla, malt and some caramel. It is quite neutral and a bit on the shy side. Taste (20/25): Very soft and delicate. Mildly perfumy, and the floral notes from the nose carry over to the taste. Caramel and pepper. Finish (18/25): Oily, warm and relatively short. Vanilla and a hint of maple syrup - with a tiny edge of burnt caramel. Oak and oak spices. Balance (20/25): An easy drinking blend.